This is another lesson where I back up my grammar with lists of words. Some of the words I use in this lesson are new to you, and some you have already seen. 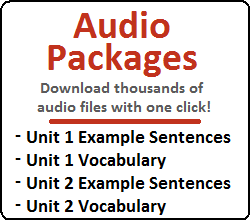 Here is a list of words used in this lesson that have not been introduced previously. The words are placed in the order that they appear in this lesson, and separated by the different sections in which they appear. 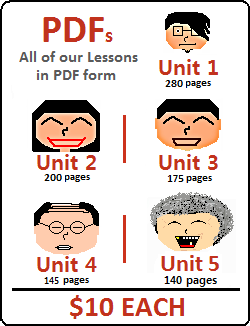 You do not particularly need to pay attention to the Hanja characters of each meaning of 성, but I have organized this lesson based on these characters. The first meaning I would like to talk about is when the meaning comes from the Hanja character 性.
I love the word 전염성 in Korean because this translates to a word that I would never say in English. 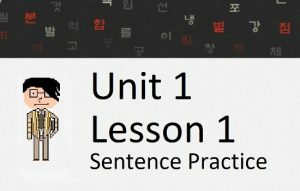 With your new understanding of –성 and how it is used, you can see why. 전염성 refers to how contagious something is – if it is highly contagious or low. How would we refer to this in English? Contagiousness? What is cool when you are able to communicate in multiple languages is you can pick and choose words depending on their feeling in a particular language. Sometimes it is easier to express a thought/meaning in one language compared to another. 전염성 is a good example, as this is something I would have a hard time representing in English. Some of these are actually words, but words that have an entirely different meaning than above. 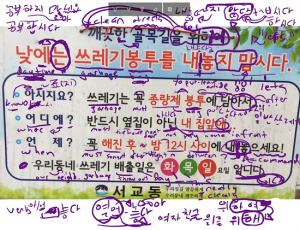 Here is another Korean idea that is hard to translate to English. 적성이 맞다 is used to describe a job that is perfect for one particular person’s interests and abilities. Another common noun that is similar to those above is 참을성. Another meaning of 성 (derived from the Hanja character 成) is to indicate the completion of something. I talk about the Hanja usage of this character in Hanja Lesson 37. Another meaning of 성 (derived from the Hanja character 誠) is to indicate or describe loyalty, effort or devotion.